Weekly meetings begin the week of September 24 and run through early March. Meetings are held at participating schools and community partner locations, including the Ann Arbor Y. See below for meeting times and locations. 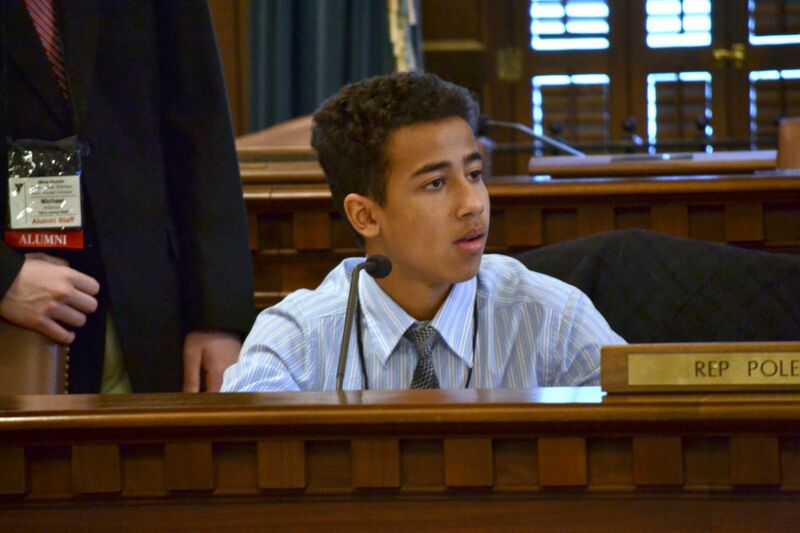 YIG Program Fee: $100 (Due October 1) – program fee includes weekly meetings. Registration fees include hotel accommodations, transportation, banquet, t-shirt, and conference materials. Note: Fall Conference is not required, however registration for State Conference includes Fall Conference registration and associated costs. Financial Assistance: The Ann Arbor Y is committed to ensuring access for all. Financial assistance is made available through the Ann Arbor YMCA Annual Campaign. Applications for financial assistance/scholarship funds are available online at www.annarborymca.org, at the front desk of the Ann Arbor Y (400 West Washington, Ann Arbor, MI, 48103), or by contacting Madison Kraning, Youth in Government Coordinator, at mkraning@annarborymca.org/734.661.8021 or Abbey Davis, Teen and Volunteer Director, at adavis@annarborymca.org/734.661.8012. Application deadline is September 27. For more information and/or inquiries, contact Madison Kraning, Youth In Government Coordinator, at mkraning@annarborymca.org /734.661.8021 or Abbey Davis, Teen and Volunteer Director, at adavis@annarborymca.org or 734.661.8012. The Ann Arbor Y’s Youth in Government program is now an accredited course in the Ann Arbor Public School district. For details, please visit the AAPS Community Resource Department Webpage and/or contact Abbey Davis, Teen and Volunteer Director, at adavis@annarborymca.org or 734.661.8012. Advocacy and Legislation with Ann Arbor YMCA Youth in Government (Fall Semester Only, September – January) This course provides students with the opportunity to gain practical experience in the study of state government and local advocacy. Students will study current issues, draft legislative bills, learn how to present their legislation in committees using parliamentary procedures, and participate in youth-led mock debates. REGISTRATION FOR YOUTH IN GOVERNMENT , grades 9 – 12, NOW OPEN through Sunday, October 14. NOTE: Interested participants MUST attend one meeting before October 14th. A link to more information and registration form is here. Designed to be more intensive and detailed than the middle school program, the high school YIG program runs from September through March/April. Participants focus on governmental process, but delve deeper into the current issues facing the State of Michigan. With a heavier emphasis on debate skills and parliamentary procedure, students take a stance and develop detailed bills that reflect their personal and political interests.